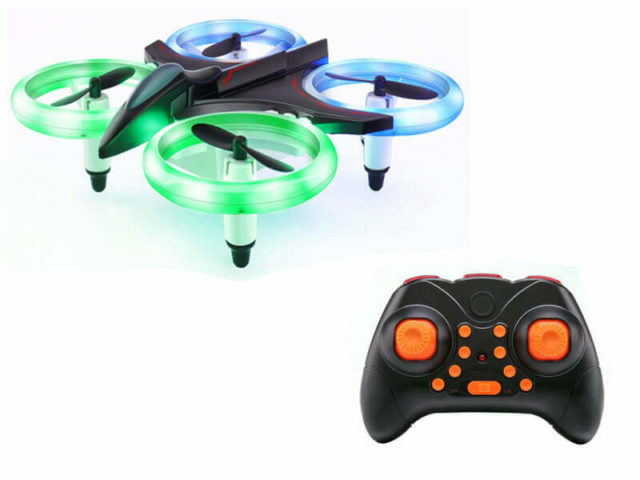 Veken mini quadcopter is a true “friend” of children, but equally suited to adults, the Veken mini quadcopter would be described for those who don’t know yet this gadget. Just because it is easy to use by children, Veken is perfect for beginners. First flights may be unlucky, without experience, and there is a good chance we will not be able to control the drone as needed, but Veken is available in stores just to avoid the primary problems that may arise during exercises. raising over 2 m and presses the 3D flip switch for an amazing performance. ● Auto Hovering – Perfect stability thanks to the latest 6-axis flight control system. ● Headless Mode & One Key Takeoff/Landing – Flying more smoothly than ever in any direction with the headless mode, easy implementation of various flight movements and for the drone to not fade away from your control area, we have one key take-off and landing function. ● Speed Toggle – You can choose your own speed at your level of experience, starting at low speed for beginners and up to the speed of those who know the limits of the drones flying. ● Indoor use is recommended because of its very small size, there is a chance that it will not withstand a stronger wind. ● Follow the instructions in the user manual included in the package. ● It is advisable to contact the manufacturer in case of any problem in order not to risk damaging the drones. ● Use the drones at the speed you are able to keep under control. Thanks to 6.1 x 3.4 x 6.1 inches, this small drone is advisable to use it according to the instructions. But this doesn’t stop you from having fun with this drone, which is as small as it is durable. 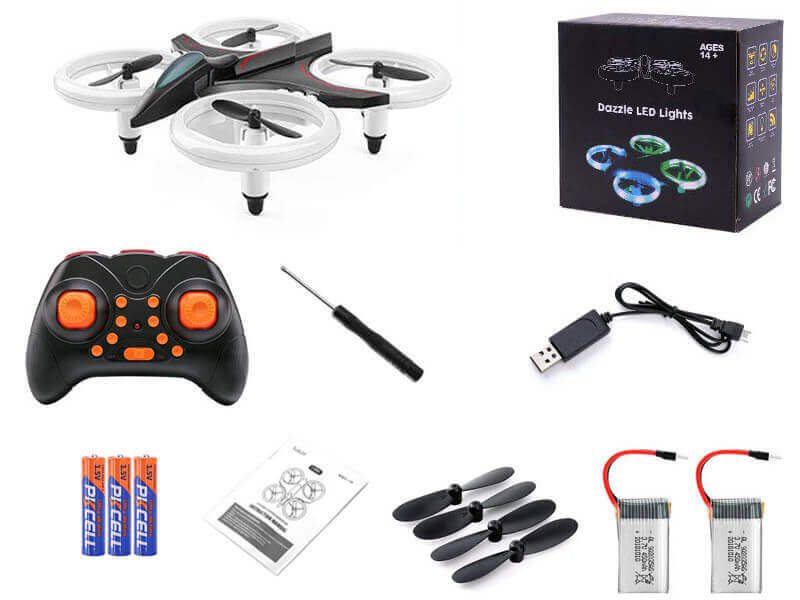 The price differs from store to store, but the category still remains the cheap drones.